Ascended Masters – who are they? The ascended masters are beings who have lived on Earth in one or more incarnations before ascending to higher spiritual levels in order to help those still living here on the planet. For several years now I have occasionally been aware of Ascended Masters offering me help and support both in daily life and during sessions with clients. I’ve had Doreen Virtue’s ascended master card deck for a few years now and I’d also highly recommend her book By Doreen Virtue – Archangels and Ascended Masters: A Guide to Working and Healing with Divinities and Deities (4.1.2003) if you wish to study this area of modern spiritual practice. Ascended Masters and the Akashic Records? 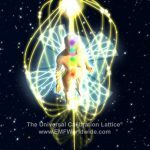 It was recently during an Akashic Records reading for a client though that an Ascended Master came through very powerfully, literally interrupting the reading in order to get his message across. 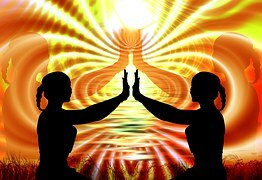 This concerned me since with my study of this work during the last 5 years I’ve understood that our Masters, Teachers and Loved Ones come through in the Akashic Records as a ‘combo’ deal and not as individual energies — if this happened I was to understand that somehow I had exited from the energy of the Akashic records. I even asked during the reading if I had done so…and the Ascended Master said that no it wasn’t my fault it was imperative that he be there for this reading! However during my recent read of Linda Howe’s new book Discover Your Souls Path Through the Akashic Records: Taking Your Life from Ordinary to ExtraOrdinary I had also noticed that she mentioned sometimes Loved Ones (family members, friends or partners who have passed) may step forward individually within the Records if a client is in need of that connection – and that has also happened during a reading. I went to a friend who is also practicing this work and asked her to read for me and find out what is going on. During the reading I found out that in my case – now that I’ve done a certain amount of readings – I have gained more mastery in Akashic Records practice and the Masters may sometimes come through simultaneously during readings to assist with healing energy of some nature. The next time I opened my own Records for spiritual practice two ascended masters came through at once and helped me with specific issues. I have always loved ascended master work and am surprised and excited by the possibilities, both for myself and for clients. As usual the next step on the spiritual journey is exciting, amazing and not at all what I expected or thought it would be.